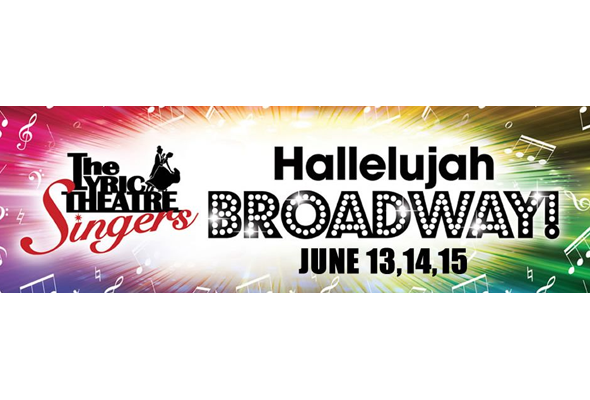 The award-winning Lyric Singers will burst into song at Oscar Peterson Concert Hall, June 13-15, delivering music by George Gershwin, songs from Kismet, and selections from Anything Goes, Once on This Island, Cabaret, Titanic, The Book of Mormon and others. Reserve tickets at lyrictheatrecompany.com or 514-743-3382. Paintings, sculptures by students of George Deligeorge. Vernissage May 20, 7:30pm-9pm. Côte St. Luc Aquatic Centre, 5794 Parkhaven. To benefit St. Margaret’s Residence. 9am-3pm. 50 Hillside, Westmount. 10am-3:30pm. St. Antonin’s Church, 4915 Earnscliffe, Snowdon. Mahjong: beginner and intermediate. Thursdays, 1-3pm. Jewelry-making: no experience necessary. Tuesdays 1-3pm. Stone sculpture: beginner and advanced. Wednesdays 9:30-11:30am. Drawing: all levels. Mondays 1-3pm. West Island Women’s Centre presents Lama Farran. What it takes to be a good money manager. 1-3pm. Free. St. Columba-by-the-Lake Church, 11 Rodney Avenue, Pointe Claire. 514-695-8529 wiwc@qc.aibn.com. Leaves 8:30am, returns 8pm. $25. Reservation required. Scottish Centre of Montreal, 1610 Stephens, Verdun. 514-363-6713. Alexander Reford speaks on Les Jardins de Métis/ Reford Gardens, founded by his great-grandmother and operated by a not-for-profit charitable corporation that he leads. WHAT’S HAPPENING? YOU TELL US. Be the first to comment on "What’s Happening in Montreal in May"